Immigration to Australia slowed in the 1840s but this changed abruptly with the discovery of gold. 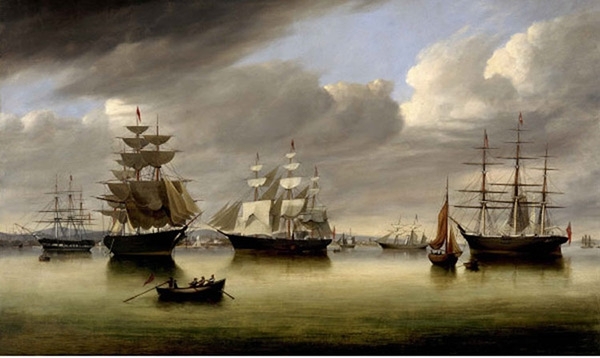 Migrants were soon swarming to NSW and Victoria from overseas – and from Tasmania! To counteract the loss a new bounty scheme was introduced to settle newcomers on small land grants in the developing north and north-west of the island. From the 1870s to 1900 tin, gold and other mineral discoveries as well as growing markets for primary produce attracted migrants to Tasmania – including Germans and Chinese. The Tasmanian Government withdrew assistance in the 1880s because so many past beneficiaries had left for mainland states. 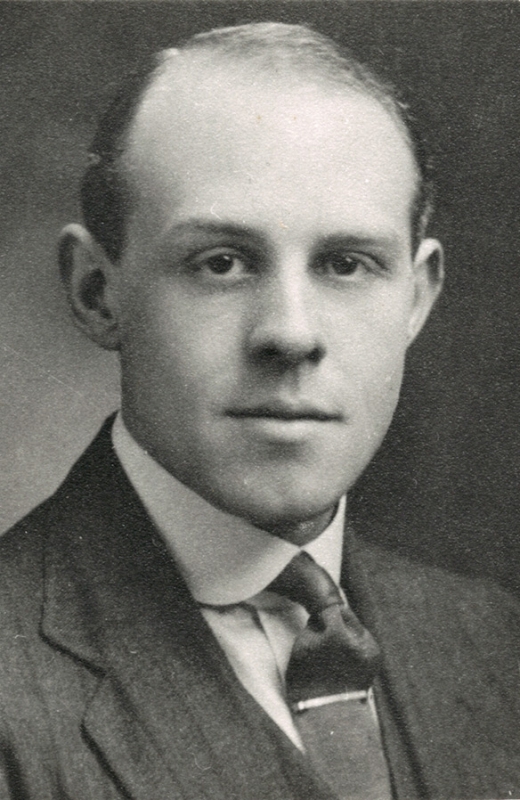 To alleviate the problem a new nomination scheme in 1912 took advantage of family and social connections. 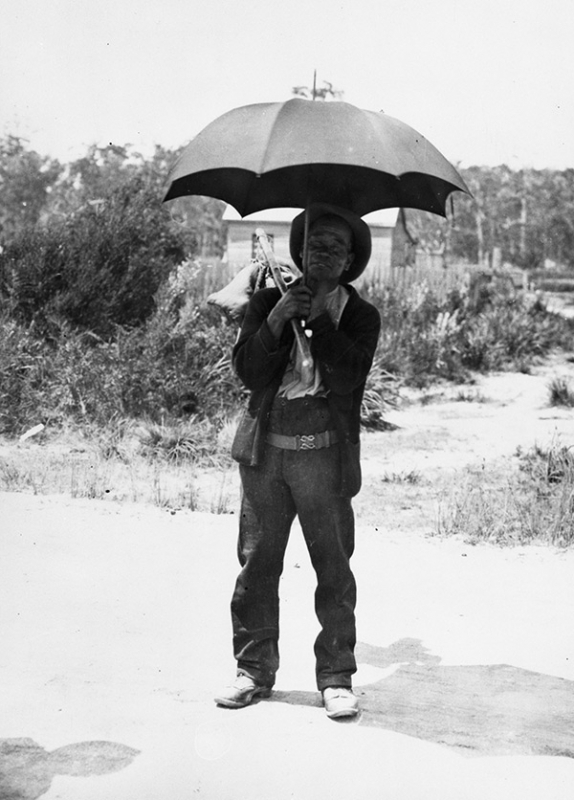 World War 1 interrupted migration and heightened Australia’s fear of invasion. Afterwards new programs were instigated to populate regional areas with British servicemen, boys and young men and female domestics. Many migrants also worked in new factories such as Patons and Cadbury. 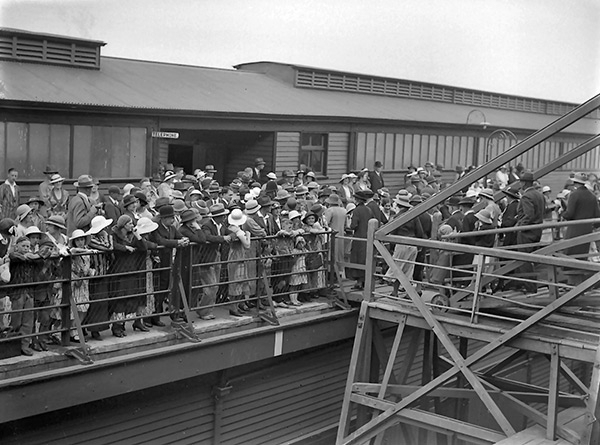 Immigration slowed to a trickle during the Great Depression and stopped during World War 2. During the 1850’s gold rush era, clippers such as these White Star Line and Black Ball Line vessels inspired awe and broke voyage records. The three pictured brought many assisted migrants bound for Tasmania – but only as far as Melbourne. 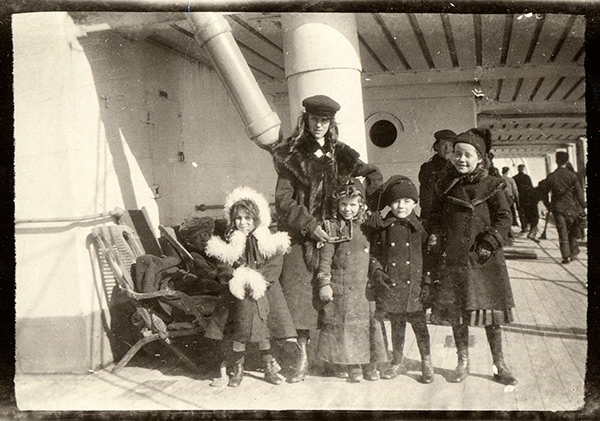 Siblings, Martha (a 23 year old cook), David (a 17 year old house servant) and 4 year old Benjamin travelled on the James Baines in 1855 to join their father in Tasmania. Their mother was too sick to travel. Martha, David and Benjamin Way's ticket on the James Baines, 1855. In the late 1800s numerous Chinese men (and a very few women) arrived in Tasmania to work on the gold and tin fields of North Eastern Tasmania. In the 1880s when their population was about 1,000 they outnumbered European tin miners. 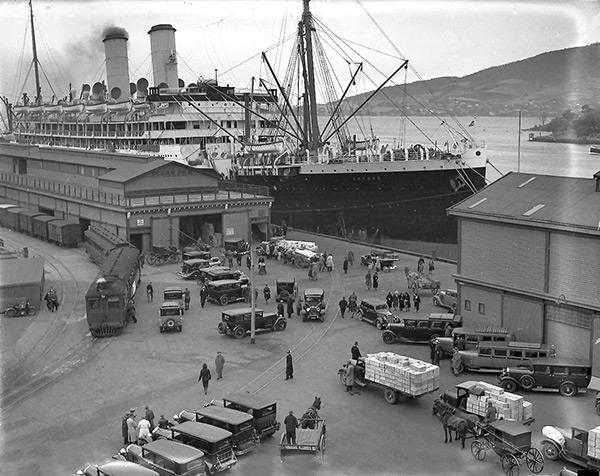 Like mainland states, Tasmania tried to discourage ‘coloured’ migrants with a poll tax and impossible dictation tests, Most Chinese returned to China but a few remained, often working as market gardeners and shopkeepers. 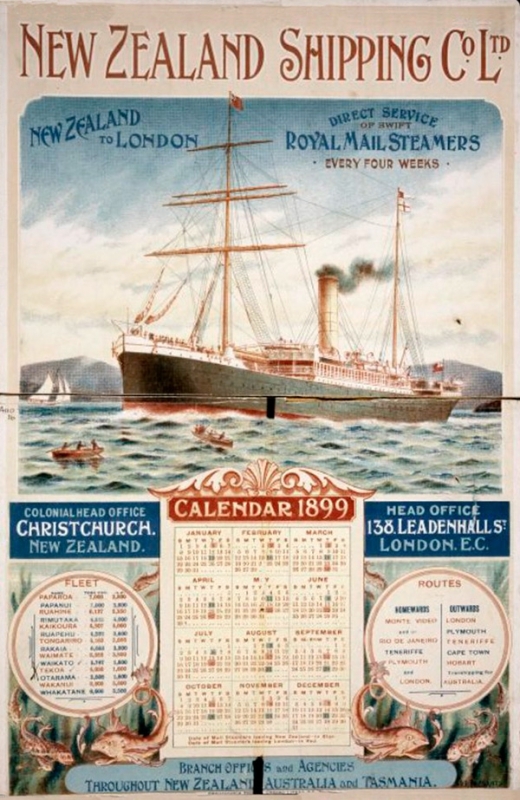 New Zealand Shipping Company calendar, 1899. National Library of New Zealand. 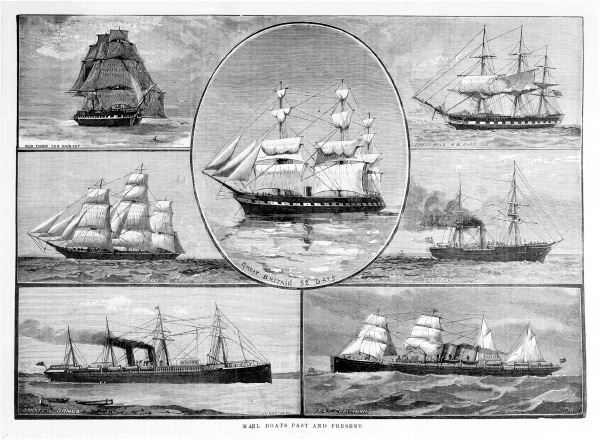 From 1887 New Zealand Shipping Company vessels called in at Hobart to coal on their way from England to New Zealand via the Cape. 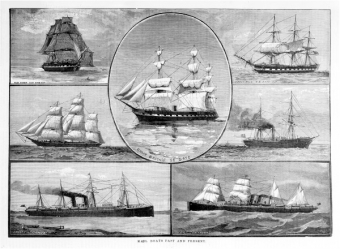 As well as their own vessels such as the Ruapehu and Paparoa the company also chartered the White Star Line vessels, Ionic and Doric and Corinthic. Migrants often disembarked in Tasmania and although many transited to the mainland some settled in Tasmania. 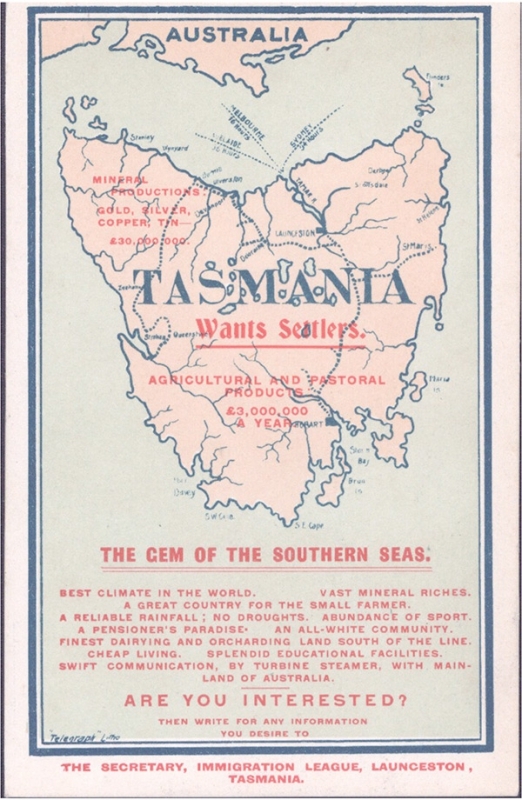 Tasmania wants settlers poster 1909. 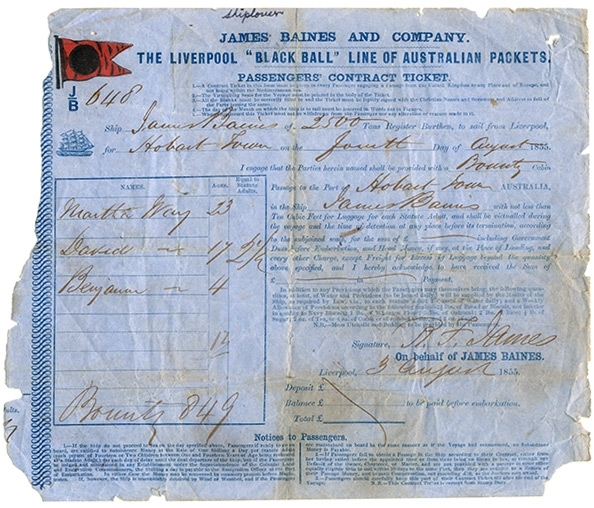 Tasmania followed other states by introducing a poll tax on Chinese in 1886. After Federation in 1901 the White Australia Policy was made official and a dictation test used to exclude anyone considered unsuitable. 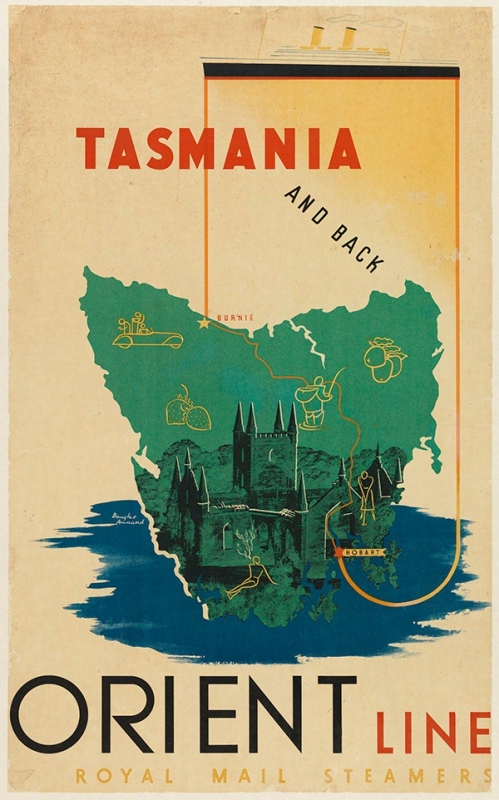 In the 1910s and 20s the Tasmanian government was keen to encourage men with agricultural experience and some capital to settle in Tasmania. Keith Denny and his family would have been ideal applicants. 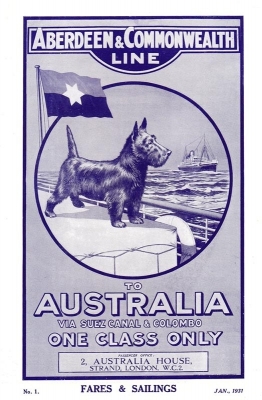 In 1922 they travelled first class to Melbourne on the Orsova and then by steamer to Tasmania. They had to clear land to set up a successful lavender farm which still exists today. 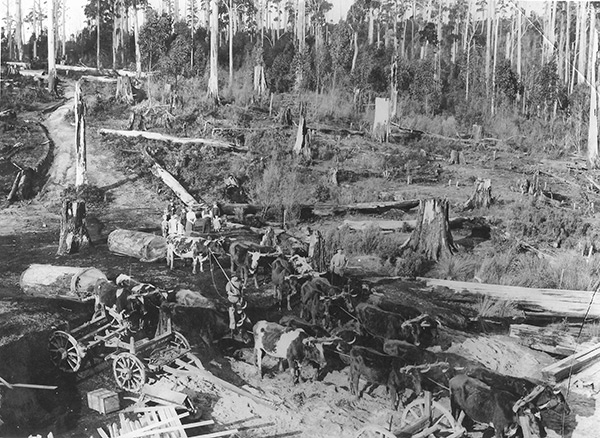 Clearing land to plant lavender at 'Bridestowe', Lilydale in the 1920s. 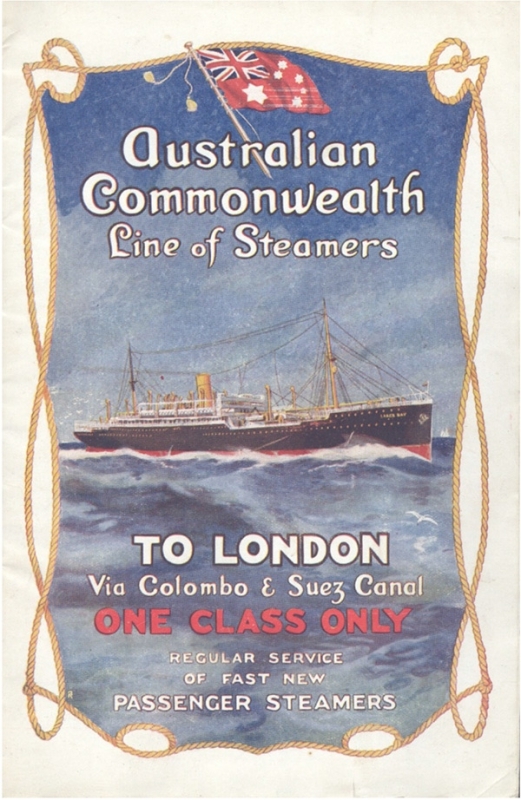 When World War 1 ended, poor economic conditions in Britain and a desire for a much larger population in Australia lead to a huge demand for passenger shipping to Australia. 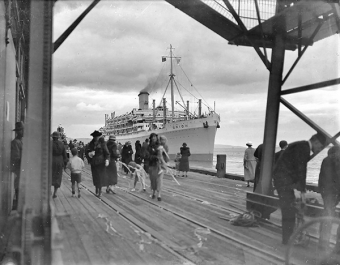 In 1922, 15 liners joined the Australian migration trade and over 200,000 Britons migrated to Australia between 1922 and 1932. 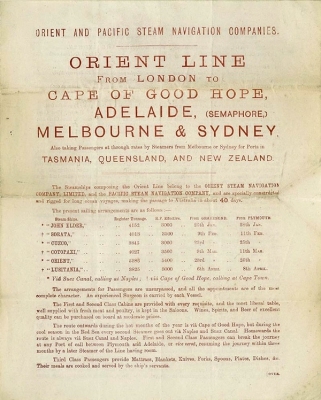 Orient Line poster 'To Tasmania and back'. 'Cape Clear'. 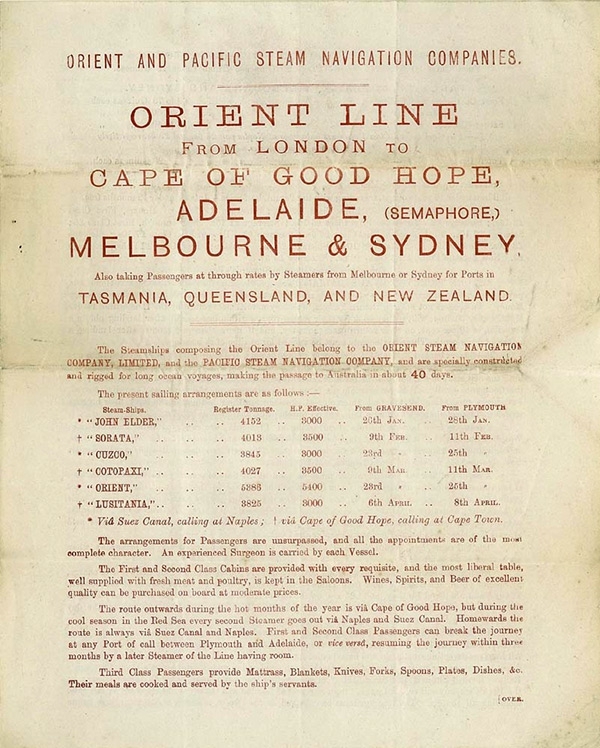 By the 1800s P&O and the Orient Line were running regular steam services from Britain via Suez – but not to Tasmania. 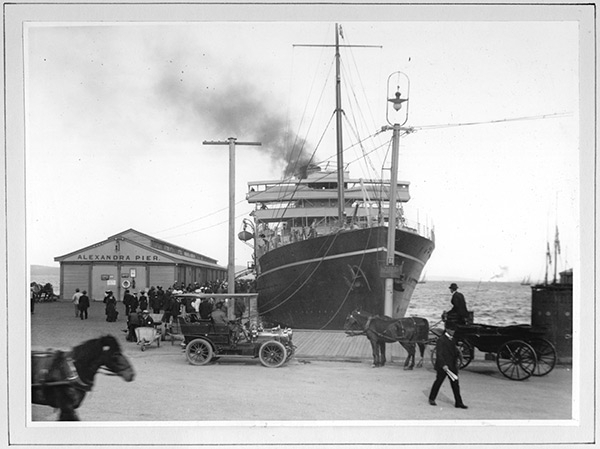 To bring migrants and merchandise directly to the island local merchant, Alex McGregor, formed the Tasmanian Line. 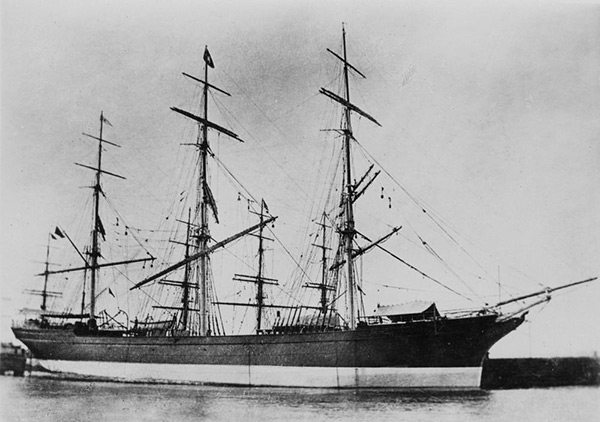 The first ship they chartered was the Cape Clear which arrived in October 1883 carrying 372 emigrants. An outbreak of scarlet fever meant she had to anchor and fly the yellow flag before disembarking emigrants at Hobart, Launceston & Emu Bay (Burnie). 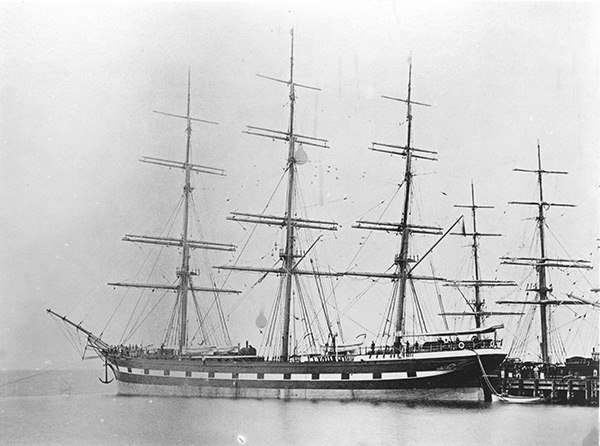 'Loch Vennachar' in Hobart. 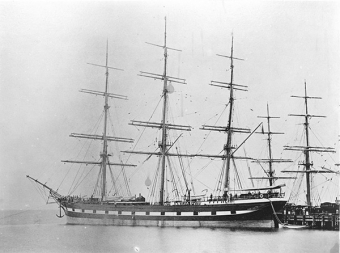 The clipper ship Loch Vennachar was launched in Scotland in 1875. For the next 50 years she sailed almost continuously on the Australian run. On the outward journey she brought ‘a large number of useful immigrants’, mostly from Scotland. On her return she carried wool. 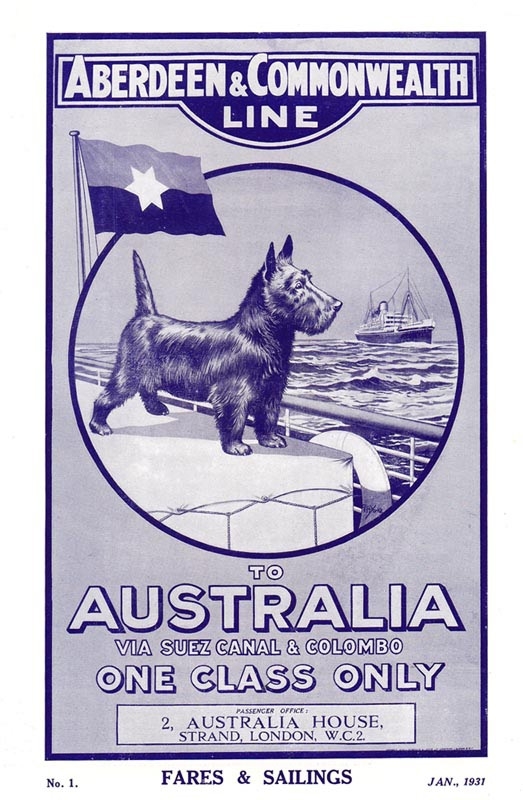 'SS Australia'. 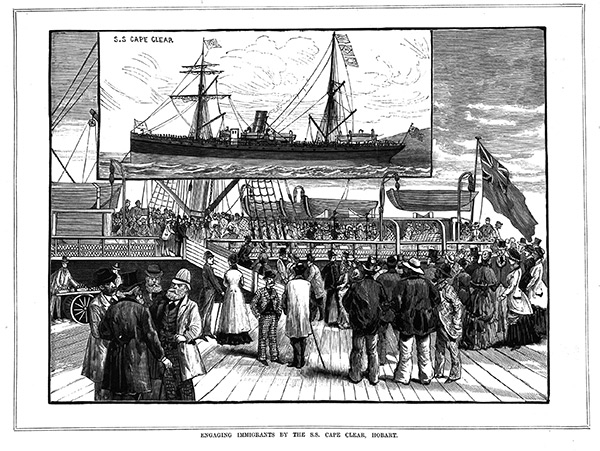 The SS Australian arrived at Tamar Heads with Chinese from Hong Kong in December 1897. Most Chinese migrants were Cantonese and left their homes because of food shortages and political upheavals. Maritime Museum of Tasmania. 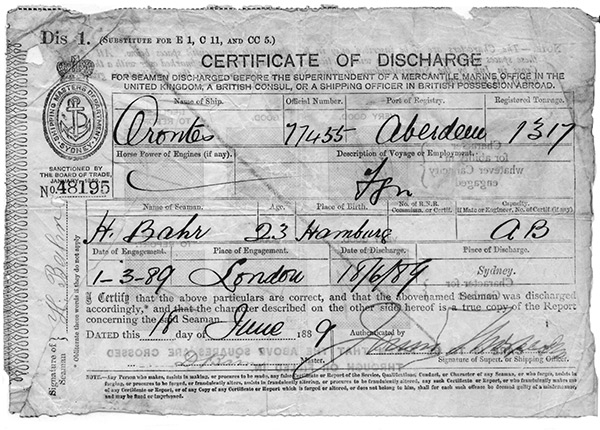 Charles Bahr’s discharge certificate from the 'Orontes' in 1889. 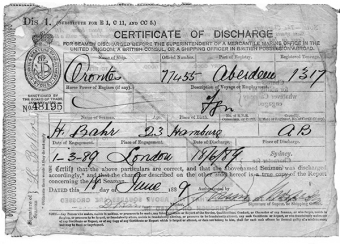 Home port for a German seaman – Herman Bahr After signing on as a young seaman in Hamburg, Herman Bahr worked on ships around the world. A job on the sailing ship Orontes brought him to Australia in 1889. 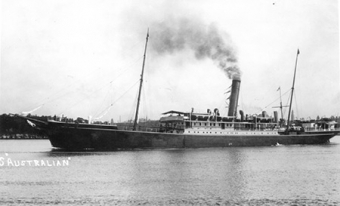 He joined the Tasmanian ship Loongana, married a local girl and retired from the sea to work on the Hobart wharves – except for 14 months during World War 1 when he was interned as a foreign alien. Maritime Museum of Tasmania. 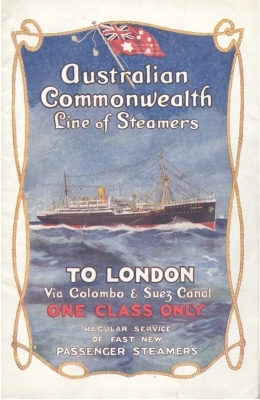 Aberdeen and Commonwealth Line- fares and sailings to Australia 1931. The 'Orford' at Ocean Pier, Hobart.